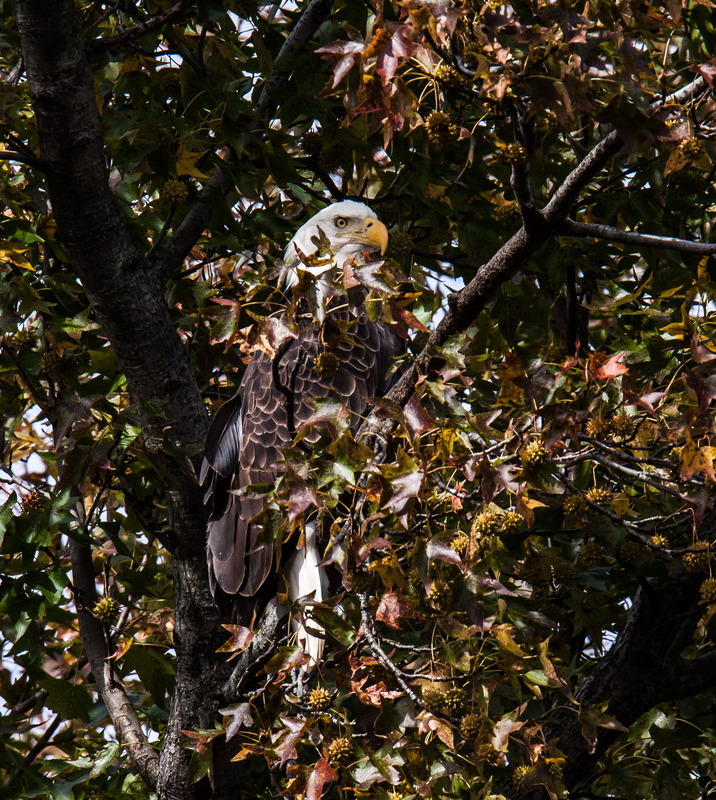 If its head feathers were not so white, I probably would not have spotted this Bald Eagle (Haliaeetus leucocephalus) amidst all of the leaves still on the trees at Occoquan Bay National Wildlife Refuge earlier this week. A short while later, I spotted a second bald eagle, possibly the same one, in a different leafy perch near the top of some trees. It is rare for me to have the chance to photograph a perched bald eagle at what qualifies as close up (though I was shooting at the long end of my 150-600mm lens) and I was incredibly thankful to have two separate opportunities to do so in a single day. I sense that in your photos Mike!!! Thank YOU for your service! Great camo image, Mike. It’s fun to see them in different surroundings. Super captures, Mike. Sighting a bald eagle always makes my day. Thanks, Eliza. 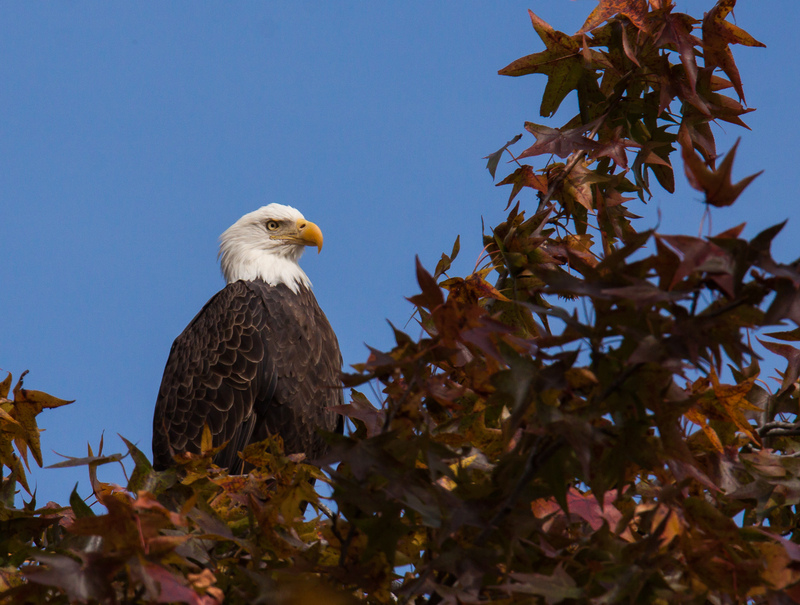 I totally agree with you–any day I see an eagle is a great day. Getting good shots is a wonderful bonus. They are such magnificent birds, Mike. I rarely get to see them up close, so I really appreciate your sharing these great images. Mike you would love it around Red Wing, MN. 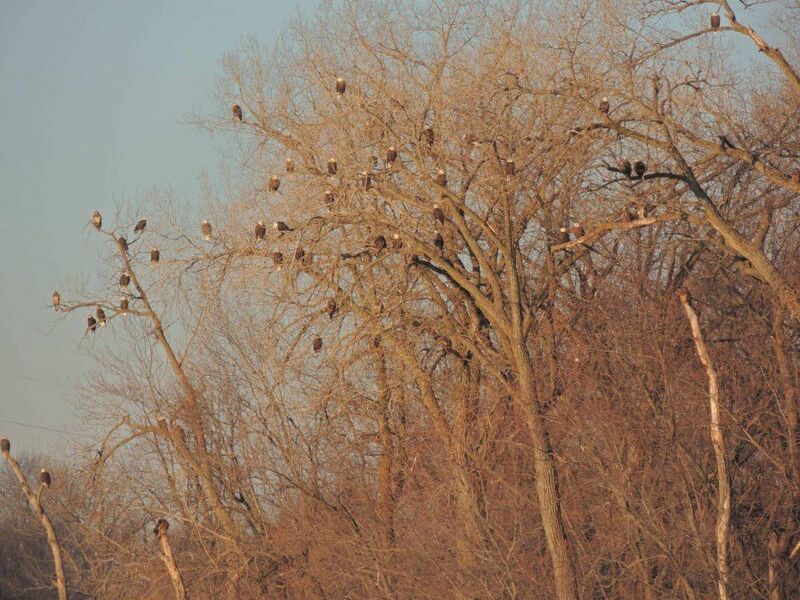 The bald eagles here are plentiful. They congregate at a park not far from where I live. Hundreds of them perch in the trees during the Winter months. It is quite a site to see. That is amazing, Dan, and must be incredible to experience. It blows my mind to see that many bald eagles in a single shot (Of course, I had to look on a map to figure out where Red Wing is located in Minnesota.) Here in Northern Virginia, we get an interesting assortment of birds that migrate through our area and some of them overwinter with us. on October 28, 2018 at 7:59 am | Reply Molly D.